How much do you know aboutthe Aromatherapy massage? Experts from The Beauty Academy explore this relaxingtreatment, which uses ‘essential oils’ to give both physical and psychologicalbenefits. We all know that massage alone is incredibly relaxing. Aromatherapy massage is massage therapy but with highlyconcentrated plant oils, called essential oils, added to the massage oil or lotion. When you combine a massage withessential oils, you’ll unlock benefits that transcend the combined power of thetwo. If you haven’t tried the Aromatherapy massage yet, then you’re in for atreat! Aromatherapy is derived from two words: Aroma – meaning fragrance orsmell, and Therapy – meaning treatment. Egypt was the birth place of medicine, perfumes and pharmaceuticalsthousands of years ago. As far back as 6000 years ago, Egyptians discovered thetherapeutic benefits of massaging with essential oils and were renowned fortheir skin care formulas and cosmetics. The actual term”aromatherapy” first originated in 1937 when French chemistRene-Maurice Gattefosse invented the word, after a burn incident spurred hiscuriosity about the healing power of essential oils. He used lavenderoil to treat his burn, which prompted him to investigate the oils properties. On the heels of Gattefosse’s “discovery” thatlavender oil helped to cure his burn, French surgeon Jean Valnet used essentialoils to help heal soldiers’ wounds in World War II, proving the medicalbenefits of aromatherapy. Since then, Aromatherapy has become increasinglypopular, with quality essential oils available to the general public for use inburners, vaporisers and for massage. Aromatherapy is now a massage treatment used inspas worldwide, to combine the benefits of essential oils with the relaxingtherapy of massage. So what exactly are essential oils? They are natural oils, typicallyobtained by distillation. They have the characteristic odour of the plant orother source from which they are extracted. When used during your aromatherapy body massage,essential oils work on two levels (absorption and inhalation) to deliver a skinconditioning massage that is pure indulgence. Benefits can bereaped by inhaling. The nostrils are attached to a part of the brain called thelimbic system. The limbic system controls emotions and influences the nervoussystem and hormones. When you inhale essentialoil molecules, messages are transmitted to the limbic system and affect heartrate, stress level, blood pressure, breathing, memory, digestion, and theimmune system.Essential oils are alsobelieved to be absorbed through the skin, so in during youraromatherapy body massage, essential oils work on two levels (absorption andinhalation) to deliver a skin conditioning massage that is pure indulgence. Aromatherapy massage isparticularly suited to conditions involving stress or improving emotionalconditions, as a treatment has both physiological and psychological effects. It is the combination of the massage, and the therapeutic qualities ofthe essential oils which can soothe and revitalise the spirt, encouragingpositive thinking! 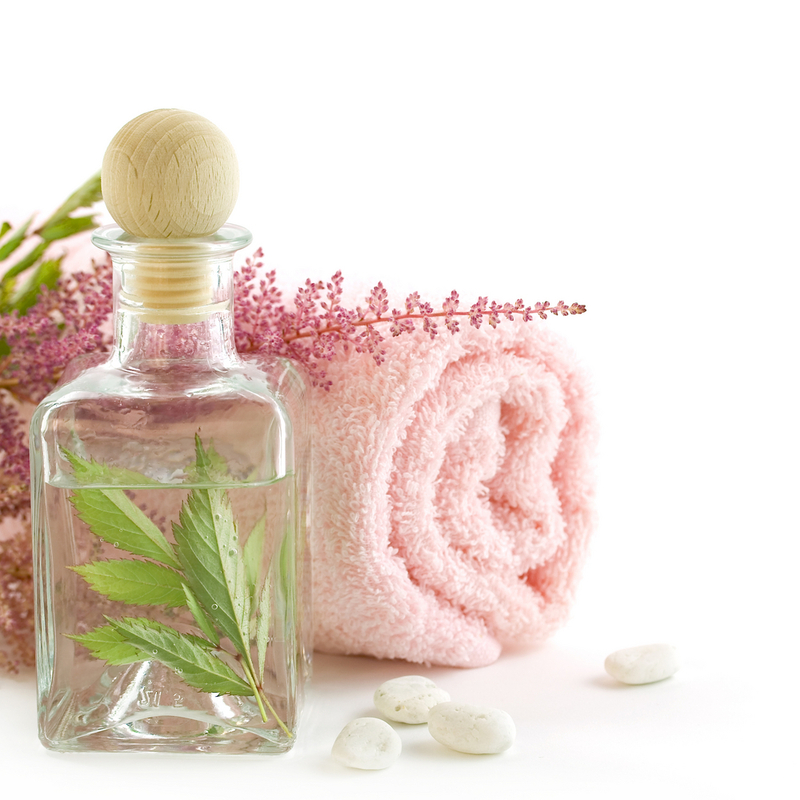 Aromatherapy can also boost the immune system, enabling the body to healitself. Yourtherapist will probably ask you about your lifestyle, medical history and ifyou have any particular ailments. You will then be requested to undress and lieon a massage table where you are covered in towels. Your therapist will select a blend of 2 – 4 essential oils that will be most beneficial for you.The therapist will usually test the oils on your skin first to check forallergies or sensitivities. A full body relaxation massage with aromatherapy oilsincludes your back, the front and back of your legs (including thighs), yourfeet, your arms and your chest. Full body massage iscarried out using gentle massaging techniques to apply the oils (you wouldnormally keep your underclothes on). It is also possible to massage just thehands and feet as part of the treatment. To be effective, the oilsneed to be left on for at least 6 hours – during this period it’s a good ideato avoid heavy exercise and drink plenty of fluids. The effects of thetreatment may last up to 36 hours. After the therapy, relaxation is essential! If you can ensure you have a clear afternoonon the day of your treatment, you’ll reap the best benefits from yourtreatment. Avoid shower or bath for at least four hoursto allow the oils to be absorbed by the skin. Avoid caffeine or alcohol directly afteraromatherapy but drink plenty of water. This holistic Aromatherapy Massage course willbenefit clients both physically and mentally. Our massage courses teach you howto select and safely use pre-blended massage oils according to the needs of theindividual. The soothing aromatherapy massage you will learn, assists thepenetration of the essential oils into the body and relaxes tense, tightmuscles and calms the mind.